Carl and Linda are currently travelling and working around Australia! 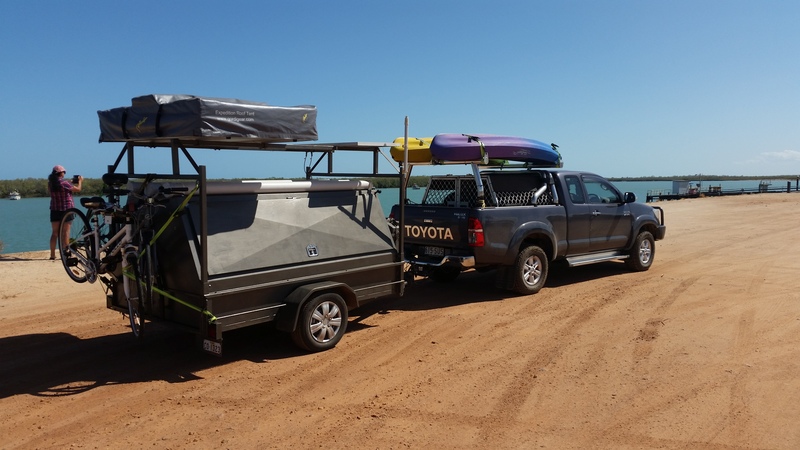 They drive a Toyota Hilux with a Gordigear rooftop tent. The Hilux is specially fitted with kennels on the back for their two German Shepherds. Above the kennels are two kayaks which creates a nice tropical roof for the dogs. 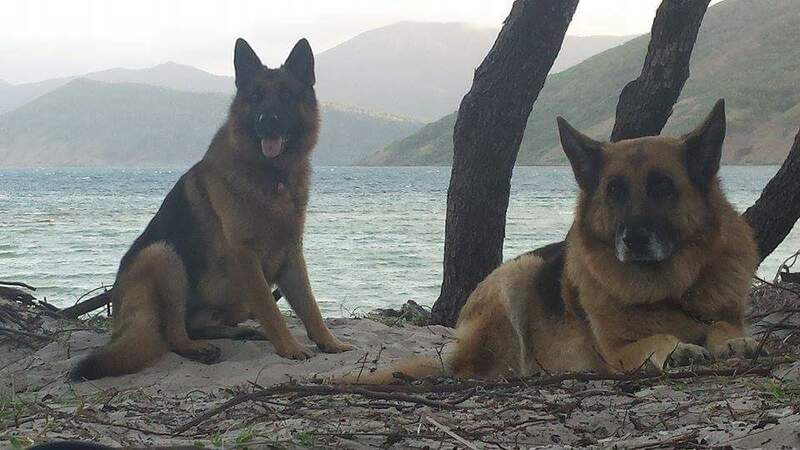 When asked about travelling with dogs the couple say it is hard work but worth the effort. Their advice is to be aware of paralysis ticks and make sure the caravan parks are dog friendly. Linda and Carl are working as they travel. Carl is a diesel fitter and Linda is a carer with retail sales experience. The couple say it is easy to find work if your willing. From their travels so far the couples favourite places include Archers Point near Cooktown and Kinchent Dam near Mackay. Linda and Carl utilise a mix of free camping and parks and obviously pick dog-friendly camping options. If you would like to follow Carl and Linda check out their Facebook page.